The Short Sleeved Henley gives you added ventilation at the collar for additional cooling, making it into an upgraded work-grade t-shirt. Your workplace is no place for flimsy tees. You need the Extra Strength of this KEY Short Sleeve Henley to stay in the game. 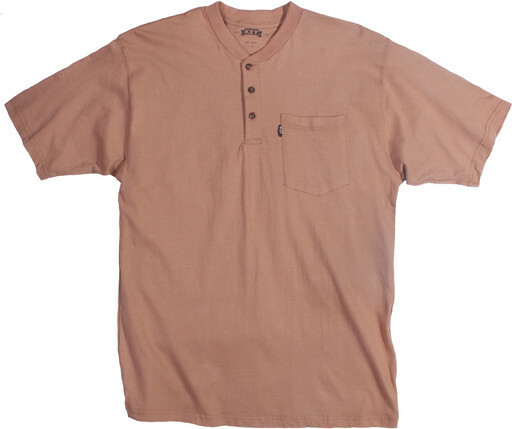 Heavyweight 3-Button Henley style T-Shirt can be worn alone or as a layering piece.